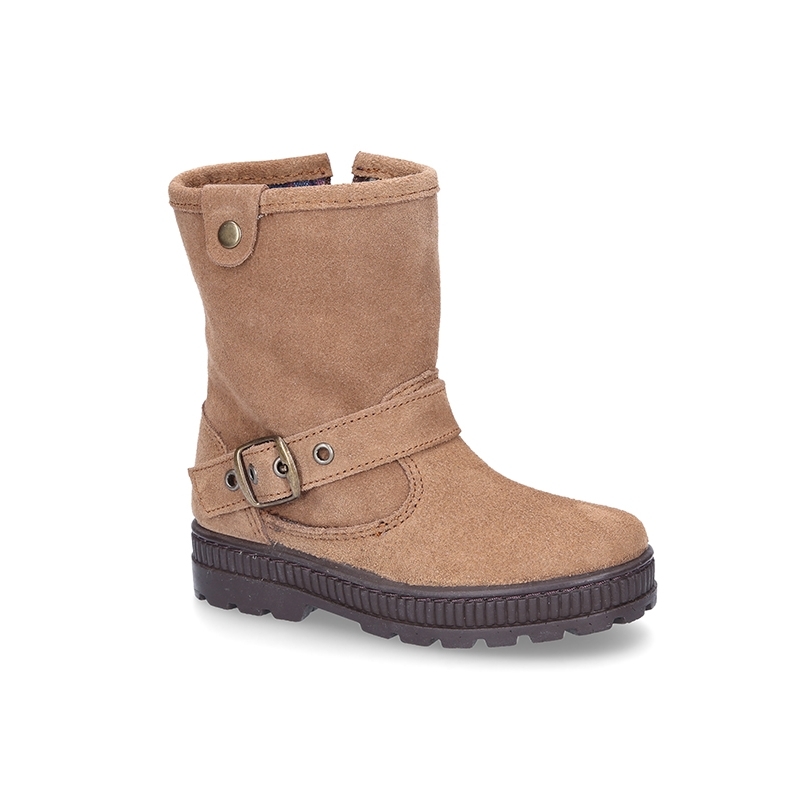 > Toddler girl>Boots and ankle boots>Suede leather boots with buckle design and zipper closure. 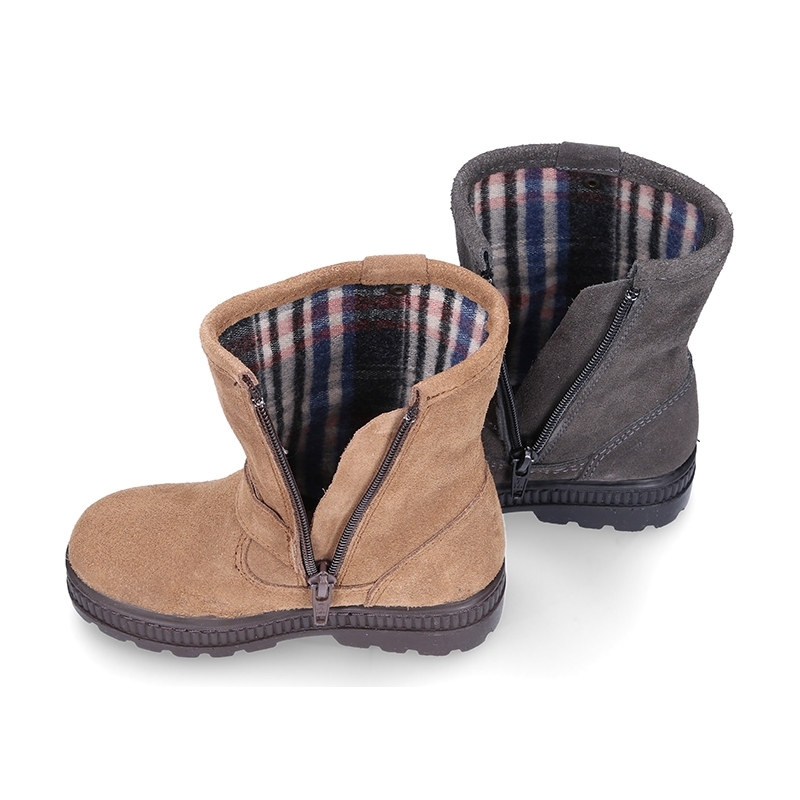 Suede leather boots with buckle design and zipper closure. 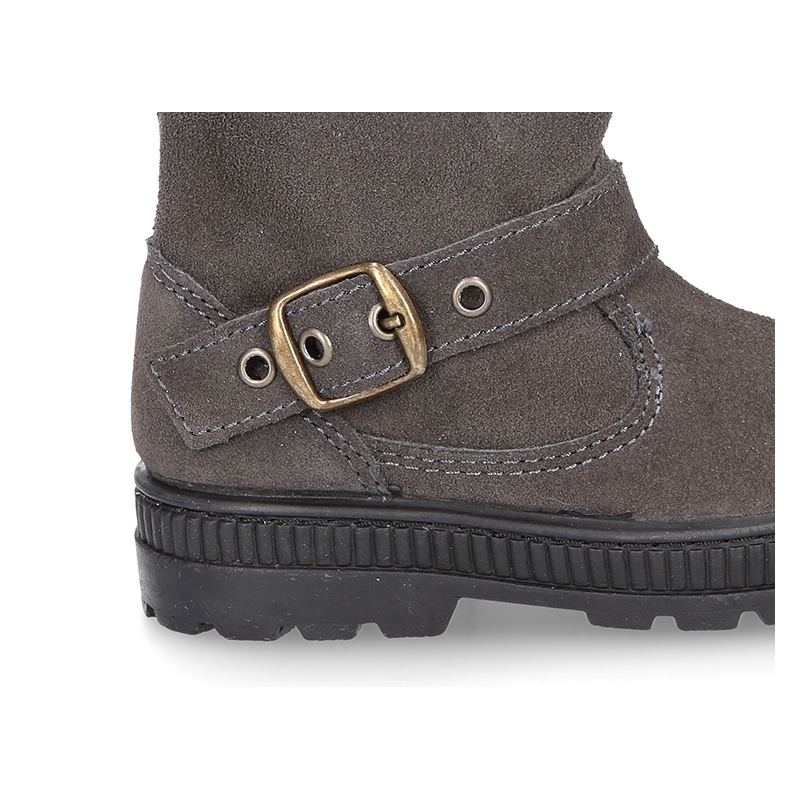 Suede leather ankle boot shoes with buckle design and zipper closure for girls. 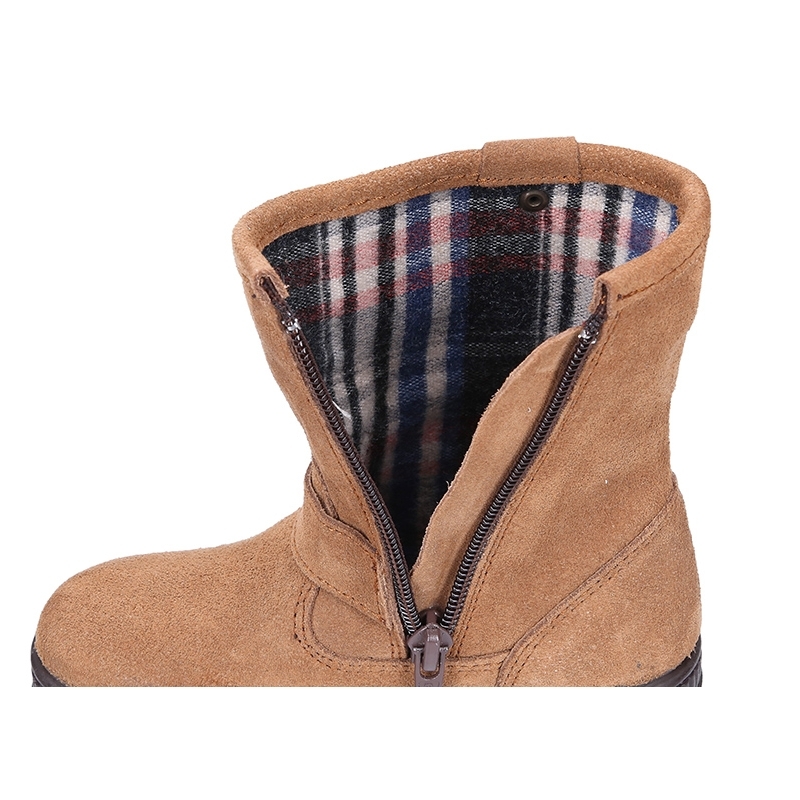 More info about Suede leather boots with buckle design and zipper closure. 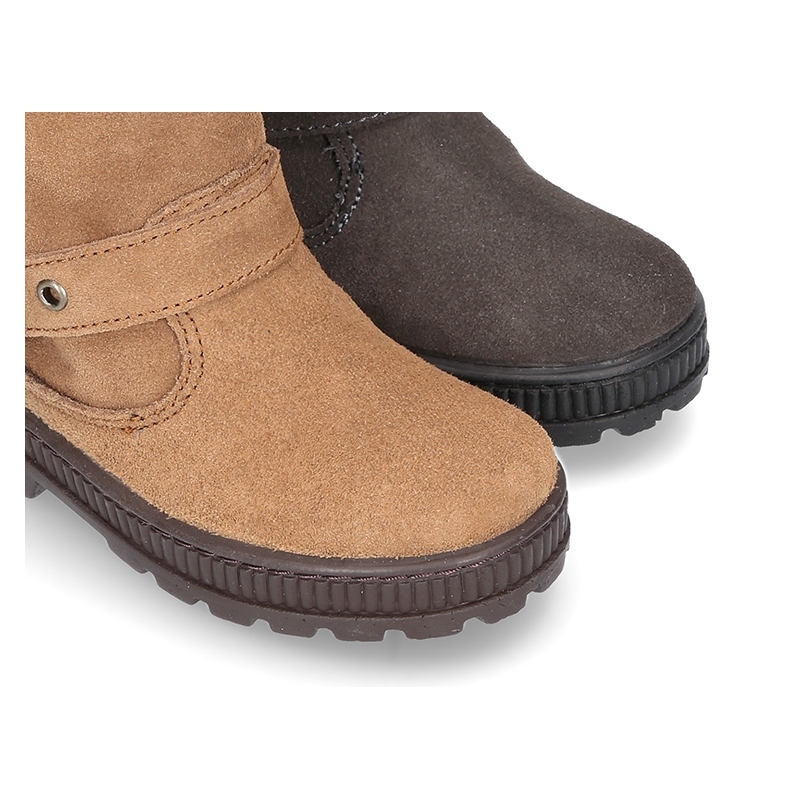 Suede leather boot shoes to dress with buckle design and zipper closure for girls. ItÂ´s a new model of the classic girls boot shoes to dress, very different and elegant. Mix and match with all their garments this autumn winter. Very warmer and comfortable model. 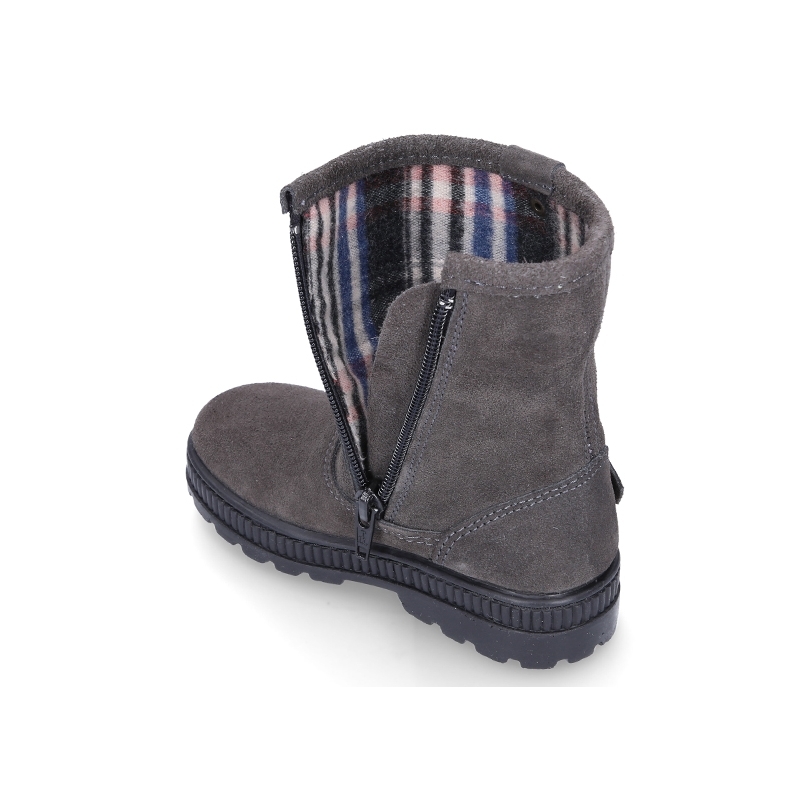 With lateral buckle design to give them a better casual look. 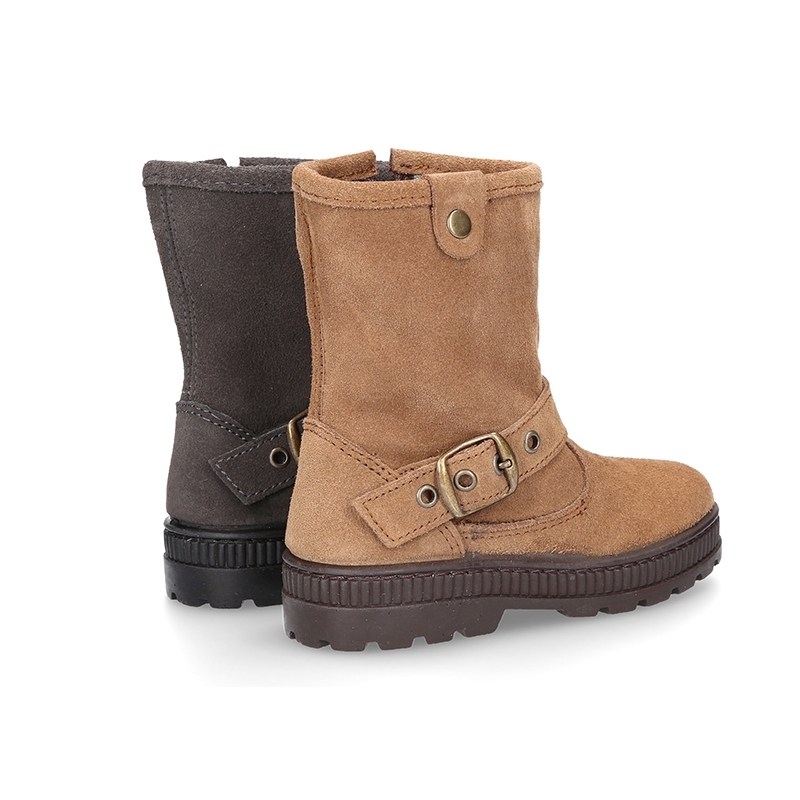 Boot shoes and ankle boots are very trendy this season in all girls collections. With lateral zipper closure for a better comfort. 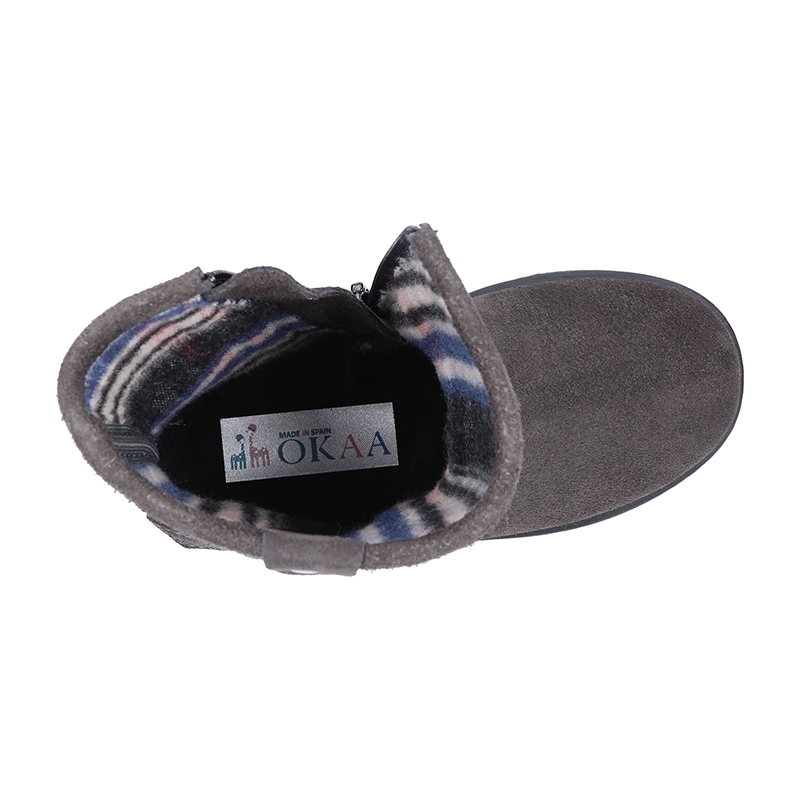 Fully lined to keep warmer their feet, and with padded footbed and perforted insole for a good perspiration of their feet. 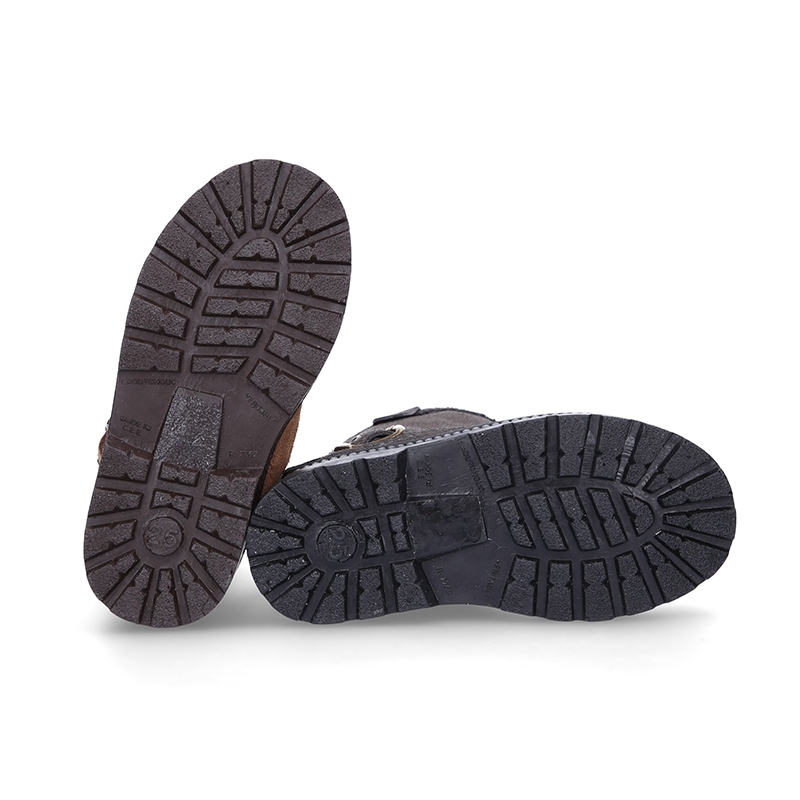 Thick rubber outsole to keep it protect of cold days, and totally flexible in order they can walk and paly without any problems. Very flexible and soft. Available in 2 colors: Sizes range: from 23 Euro size up to 37 Euro size. SIZING REGULAR. Data sheet about Suede leather boots with buckle design and zipper closure.